Google has Maps and Street View, but the company is finally rolling out a real-life mixture of both. 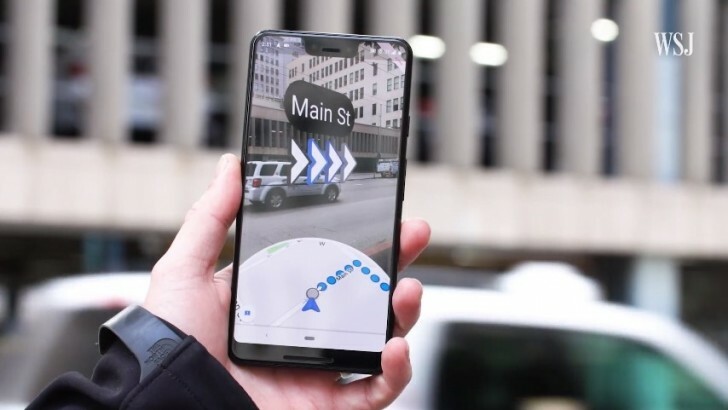 Navigation with Augmented Reality is reportedly being pushed to Local Guides, a group of people that are community reviewers inside the Maps platform. Google says the feature needs more testing before launching it to more users. The app works quite simple – when you start it, Google wants you to look around to recognize the buildings around you and from then on you just follow the arrows. There is also a neat prompt to put the phone down when youre walking; otherwise, you might bump into someone or something – or worse – walk on the street without looking around. Although the AR feature is for smartphones, it will be way more practical in the (not so) distant future where we use Glass-like wearables. That way restaurants and other points of interest would pop up. Until then it would be a neat feature to get you through a city you dont know that well.